A recent study found that bioactive compounds found in cocoa can keep the heart healthy. According to the ANi report, the findings have been published in the American Journal of Clinical Nutrition (AJCN). According to the researchers, the two types of bioactive, called flavanols and procyanidins, behave differently in the body. Bioactives are dietary compounds that can be beneficial to health. Comprised of two kinds of bioactive, namely flavanols and procyanidins, the cocoa flavanols present in cocoa have attracted considerable scientific attention in recent years. As both groups of compounds are also found in apples, grapes, berries, and some cereals and legumes, the use of cocoa extract as a model for flavanol- and procyanidin-containing foods is likely to generate insights relevant beyond cocoa. Multiple studies have shown that daily consumption of flavanols and procyanidins has led to improved blood pressure, cholesterol and the flexibility of blood vessels. But until now, it was less clear to what extent flavanols and procyanidins respectively contribute to the observed benefits, and whether or not they act synergistically. The researcher Christian Heiss of the University of Surrey reportedly said that they were able to confirm previous findings related to cocoa flavanols, and they gained novel insights into the respective contributions of flavanols and procyanidins in the context of their cardiovascular effects in humans. 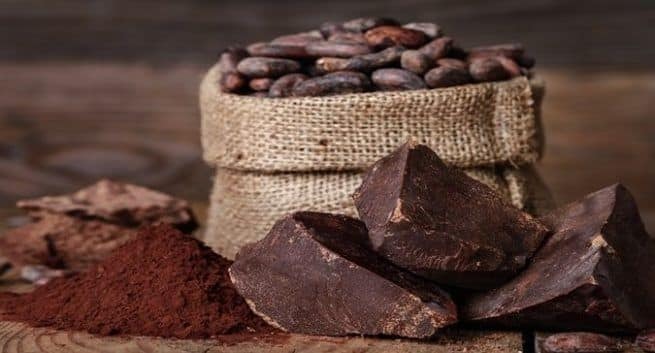 They found that the flavanols, especially epicatechin, represent the bioactives primarily responsible for the beneficial vascular effects observed after cocoa flavanol intake. As we age, blood pressure, cholesterol, and stiffness of arteries increase. What is important is that they are each independently associated with an increased risk of cardiovascular disease and death. Consuming procyanidins and flavanols, like epicatechin, could, therefore, help people maintain their heart health. – Healthy adults experienced improved blood vessel function along with improvements in blood pressure, arterial stiffness, and cholesterol after one month of once-daily consumption of an extract enriched in flavanols and procyanidins. -Only the group that consumed flavanols and procyanidins together experienced all benefits. The group that consumed the procyanidin-enriched extract only experienced a reduction in total cholesterol. -Consequently, improvements in blood vessel function, blood pressure, and arterial stiffness were shown to predominantly relate to the intake of flavanols, but not to the intake of the more abundant procyanidins and their gut microbiome-derived metabolites.